The regular Dubrovnik Airport Shuttle Bus service is provided by Atlas Agency in Dubrovnik. 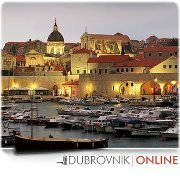 Upon arrival buses meet all scheduled flights at the Dubrovnik Airport for a transfer to Dubrovnik Main Bus Station. The trip duration is 30 to 40 minutes. Departures from Dubrovnik to the airport are from the Main Bus Station in Gruž Port, usually 90 minutes before regular domestic flights, and 2 hours before regular international flights. Please note that charter flights usually have their own airport transfer arranged. Please note that the timetable for the airport shuttle bus from Dubrovnik to Cilipi airport is made available one to two days in advance, we publish the timetable as soon as it becomes available. The price is 35 kuna and tickets are bought on the bus.